Poor nutrition can result in feeling sluggish, getting sick more frequently, gaining weight and raising your risk for heart disease. 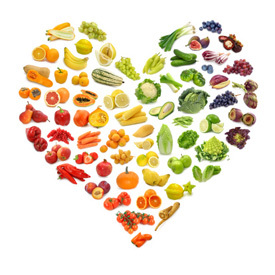 Dr. Jackie offers coaching in low-glycemic eating to help people enhance their health. A lot of people have problems with blood sugar, digestive issues and other health issues that require nutritional support. To address this need, Dr. Jackie, who is certified in low-glycemic eating coaching, offers her patients low-glycemic courses. Dr. Jackie offers low-glycemic eating education courses. Participants can choose from either a 5-week course or a 12-week course. The 5-week low-glycemic education course offers basic instruction on how to create a low-glycemic lifestyle. The 12-week course offers individuals more enhanced, in-depth instruction. Dr. Jackie enjoys the educational process of teaching people how to eat properly. She wants to help course participants enhance their overall health in a way that’s simple and logical. Masche Chiropractic Health Center also offers nutrition products at www.shop.com/maschchiro. Select the Health and Nutrition tab to shop for a variety of health supplements. See how sound nutrition can benefit your health! Call (414) 529-5370 today to learn how.